A clean home or office represents the people occupying it. If you’re a kind of person who can’t stand a mess even for a second, then, this article is perfect for you. You may be planning to have a business relocation to Melbourne or you just want to have a tidy place. But the main point is, you can maintain the cleanliness and organisation of your place without throwing any of your belongings. Yes, you read it right! It can help you allocate your budget even better. After that, you can then find cheap self storage services to store your stuff. 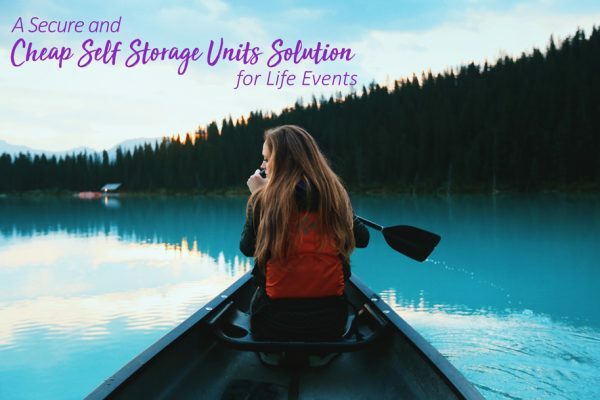 In this article, we will discuss the hints on when is the right time for you to find cheap self storage to solve your space problems. In this way, you can rest assured that your money will not be wasted on a service that you don’t really need. 1. The full closet is a problem. You may not notice or admit it to yourself that you’re a hoarder. Well, there’s nothing wrong about it especially if the stuff has sentimental values. However, if you can no longer manage and organise your things, it’s about time to clear some space in your closet. In case you really don’t want to throw away some of them, you don’t have to. 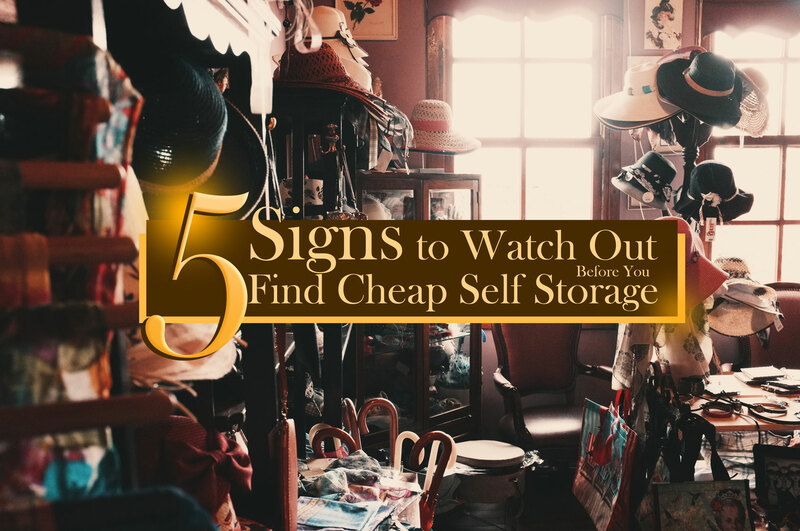 Then, this is the first sign for you to start and find cheap self storage facilities where you can store them and organise your storage unit. In that way, you can arrange the things you frequently use whilst keeping those you don’t really use but still want to keep. 2. Large items block your way. Let’s say you bought some furniture for your apartment or office because you need to. Only to find out that your place has only limited space. And the worst thing is, you don’t want to dispose of some of them even though it’s already blocking your way. Then, it’s about time for you to find cheap self storage for them! You’ll never know how convenient it can be when you choose to keep them in a depot and access them whenever you want to. 3. Your garage is occupied by other stuff instead of a car. Aside from the attic and basement, you have probably stored your gardening tools or old documents in your garage. Which is supposedly your car should be in there but it isn’t. You may not aware but your vehicle is prone to get damaged easily and worst, from the robbery. 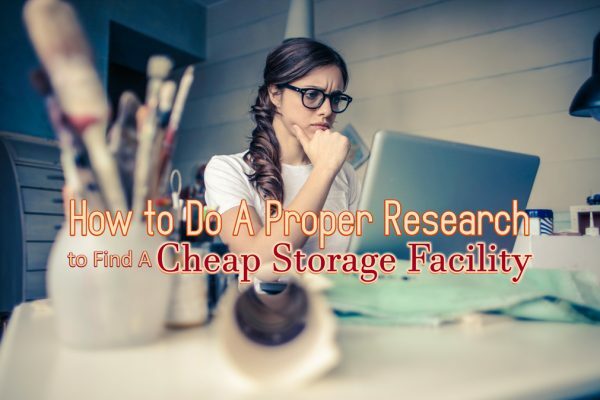 Good thing, you can find cheap self storage for the items that occupy your garage instead of your vehicle. In that way, you can prevent yourself from getting problems in the future. 4. A room has turned into your personal depot. Are you guilty of having this? You may have possibly had lots of boxes stacked up to the ceiling of one of your room or company right now. There’s nothing wrong with that but aren’t you tired of shooing your guests past that door because it’ll be a shame for them to see it? Then, this is the perfect time for you to find a cheap self storage to save you from such embarrassment. Instead of keeping your unused items at home or office, store them in a depot and make that room into a much nicer place. 5. Finding what you need is almost impossible. Have you ever experienced looking for something but you can’t see the one that you are looking for? Don’t you think this is another hint for you to get a unit and organise your belongings? This can be a great help since you no longer need to remove the pile of documents or books just to see what you’re looking for. 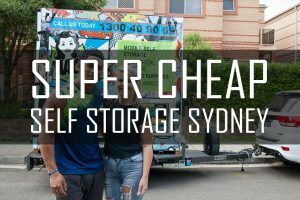 The above signs can help you decide whether it’s a wise decision to find cheap self storage facilities or not. You can get lots of benefits if you choose to have a depot. Not only you can have a positive attitude to start your day but it can also bring peace of mind. Want to choose the right depot for you? You’re on the right page! Macy’s Mobile Self Storage has lots to offer you. We have budget-friendly units that will suit your need. Aside from that, you can also find helpful articles and blogs by checking our website. Find out more with by contacting us today. This entry was posted in Storage and tagged cheap storage, cheapest storage units, Macy's Mobile Self Storage, self storage, self storage facility.